Roses are red, violets are blue, if you love Valentine’s Day, than this wedding inspiration is for you! 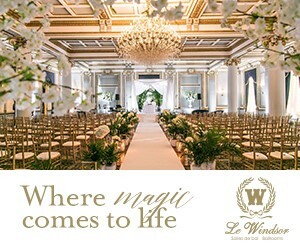 Captured by Luma Weddings inside The Fairmont Olympic Hotel (built in 1924), this elegant style shoot showcases the magnificent aesthetic of old world charm with romantic Valentine’s wedding inspiration for 2017. Brought vividly to life with a bold palette of pink, red and gold are lush florals, calligraphed stationery and a gorgeous cake suspended from the ceiling. With the building having recently undergone fantastic renovations, VOWS Wedding & Event Planning decided to honour the timeless architecture by incorporating modern design elements (such as clear decor at the table setting) to create an old world wedding.